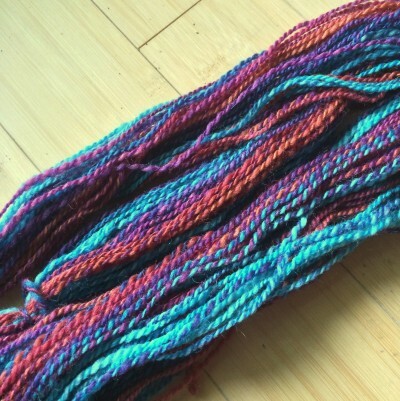 Jillian’s Spinning: When Will I Learn to Keep Track? I matched up bobbins and plied. And what did I get? 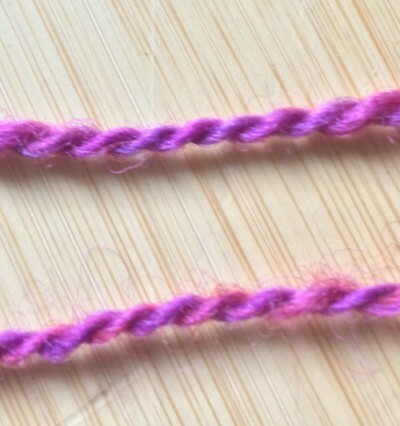 Two 2-ply samples of WoolenandWorsted. You can really tell looking closer. There’s a section of pink and blue – one ply smooth, one ply fuzzy. It’s Corriedale. I could have unplied and replied, but what a mess. I respun. This time I spun two singles and plied straight away, instead of having four bobbins sitting around, tempting fate. Much better. Worsted, top and woolen, bottom. I sincerely hope that one day I will learn not to rush and to mark my yarns within a micron of their fuzzy little hearts . Did any of your learn any hard spinning lessons this weekend? What are your plans for it?? There must be a project waiting for the perfect textured yarn that will be beautiful with that woolensted! I love that you made a goofy mistake and then told everyone about it. That’s where great ideas come from! First, let me point out that I am completely ignorant about spinning. I read a lot, but have never spun or taken a spinning class. You said “I could have unplied and replied, but what a mess. 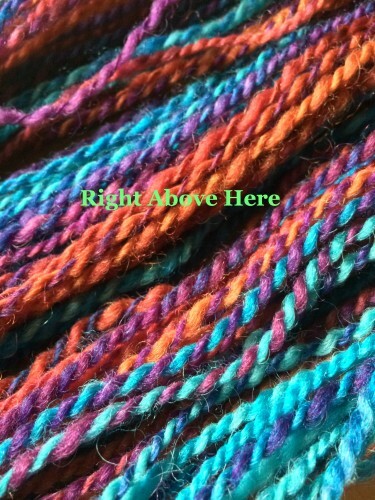 I respun.” So, how did you respin the yarn, if you didn’t pull it all back apart? Why does it matter that you plied a woolen and worsted strand together, other than that you had not intended to do so? Isn’t it just another type of yarn with it’s own characteristics? Or is there some reason it will not be good yarn? Will it get wonky when washed? or stretch oddly? or pucker? Just wondering. Thanks. I respun the yarn by starting from the beginning with unspun fiber, and spinning singles then plying them. It doesn’t matter that I plied woolen and worsted together, except that I need an all woolen sample and an all worsted sample for an article I’m writing. If I was knitting for myself or a gift I would have used the woolenandworsted yarn. It’s a little uneven because of the differences of the plies, but it’s uniformly uneven :-). Stockinette knit out of the combo yarn would have more surface texture than stockinette knit from the straight woolen or worsted yarns. I’ll knit a sample and show it next week! I love hearing about how you end up solving your issues whenever you have a problem in your spinning!